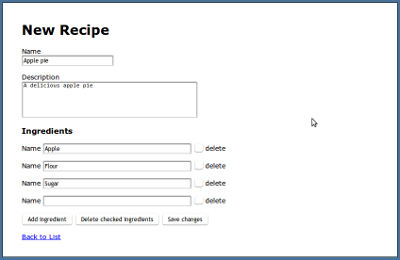 flash[:notice] = "Successfully created recipe." 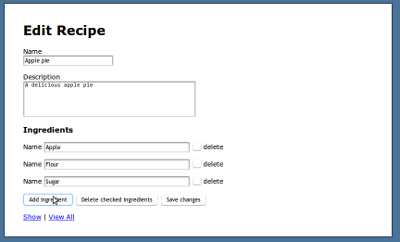 flash[:notice] = "Successfully updated recipe." 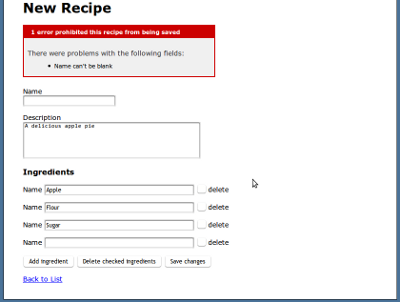 flash[:notice] = "Successfully destroyed recipe." Thank you!!! I’ve been breaking my head over this for a while. 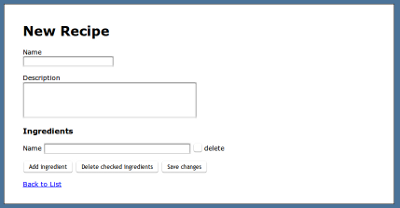 The only way I was able to make it work is with JS without progressive enhancement. 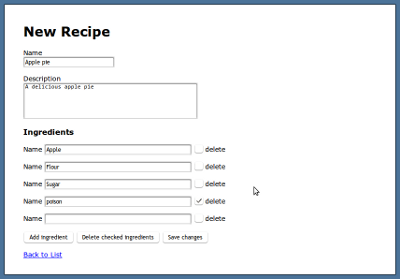 Can you post where the add ingredient method as when I tried it when I do add ingredient it tries to create the recipe and finishes. I lost my nerve with RoR, but this helped me a lot . Thank you! do you have a project with this to topic? I did this but when I click to add an additional field, it just tries to submit the whole form and does not add any additional fields.